Means Matter Campaign: Based on the fact that 62% of the suicide deaths in 2013 resulted from a gunshot, confirming national data that firearms are the most recently used method in suicide deaths, the task force is launching a public awareness campaign “Means Matter”, developed by Harvard School of Public Health. This non-controversial program attempts to reduce access to lethal means (both guns and prescription drugs) through education and dialogue. “Means Matter” promotes the notion that how people commit suicide is just as important as why—and that making it harder for suicidal people to get access to guns or medication is a simple way to save lives. Safe Talk: A training which s educates the public on how to approach and engage someone who may be depressed. The “talk” in Safe Talk is an acronym that stands for Tell, Ask, Listen, and Keep safe. Applied Suicide Intervention Skills Training (ASIST): The ASIST workshop is for caregivers who want to feel more comfortable, confident and competent in helping to prevent the immediate risk of suicide. Over one million caregivers nationally have participated in this two-day, highly interactive, practical, practice-oriented workshop. 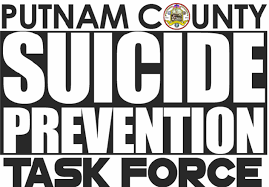 Putnam Cares SPEAK app for apple and android phones: In partnership with the Suicide Prevention Task Force, County Executive MaryEllen Odell recently unveiled Putnam Cares SPEAK app. The app provides individuals in crisis a way to assess their needs and put them in touch with local resources covering a broad range of ages and demographics in our community, with the goal of reducing the number of suicides dramatically. “Lifelines Trilogy”: a comprehensive school based suicide awareness and responsiveness program for students, staff, and parents. The program requires that schools implement protocols, a referral network with local providers, a school readiness survey, staff training and parent education. While this program is currently being implemented in the Brewster School District with great success, the task force is working to expand the program to all six districts in Putnam County. The CAC has been involved in these efforts to bring light to the suicide epidemic in the county. 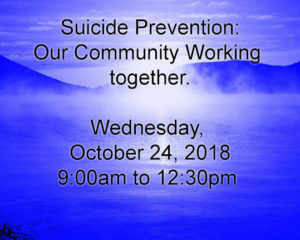 Through partnering with others in the community, we are hoping not only to raise awareness about the rising numbers of local suicides but also to examine the cause, manner, and circumstances of a suicide to address possible trends and save lives. Suicide is preventable. Click on below image for brochure and poster. Click image for addition information and registration.